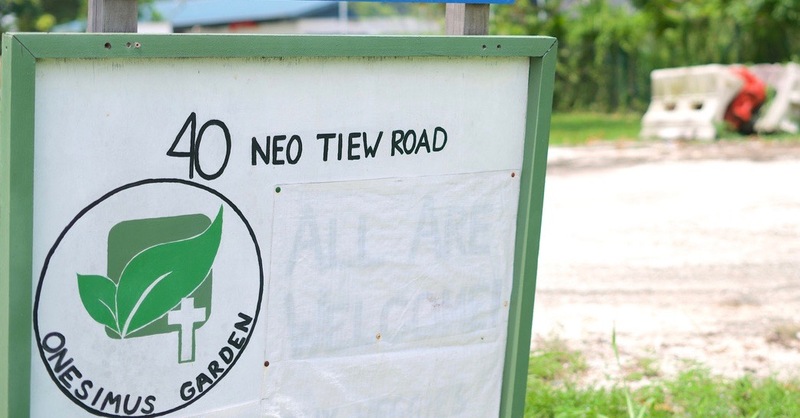 The entrance of Onesimus Garden, a farm set up in 2014 to provide marginalised individuals with a job. Photo by Rachel Phua. Singaporeans call it the hinterland. But nestled within the rustic line of container huts and shrubs at Lim Chu Kang lies a peculiar group of saints. These tanned men and women are currently having lunch at the patio, a simple packet of rice, chickpeas and curry, a short relief from the scorching sun. They are a talkative bunch, quick to introduce themselves and describe what they do – tilling the soil, removing weeds, packing vegetables. All of them are individuals with mental health disorders – conditions such as Attention Deficit Hyperactivity Disorder and Autism. They are some of the 18 beneficiaries at Onesimus Garden, a farm ran by Salem Welfare Services, the social services arm of Salem Chapel. 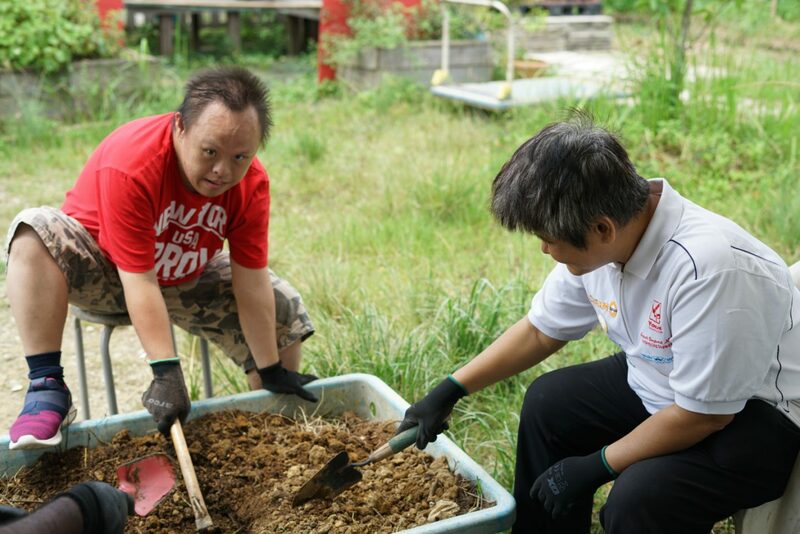 Onesimus Garden reaches out to disadvantaged communities in Singapore by providing them with stints to get their hands dirty. The idea behind it is to show how human beings, like plants, may spring back to life after a period of weakness. A group of disabled men and women from the Christian Outreach to the Handicapped were taking part in the programme during Salt&Light‘s visit. Photo by Rachel Phua. 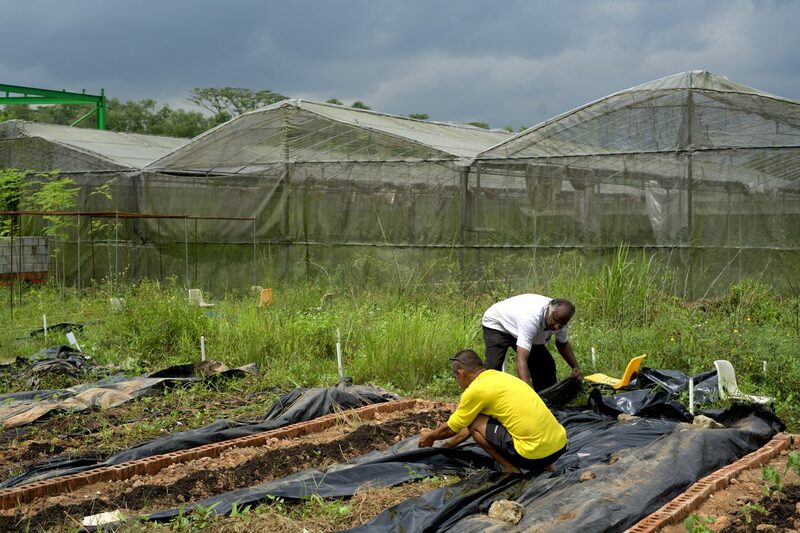 The vegetable farm also welcomes injured migrant workers, ex-offenders and the elderly. 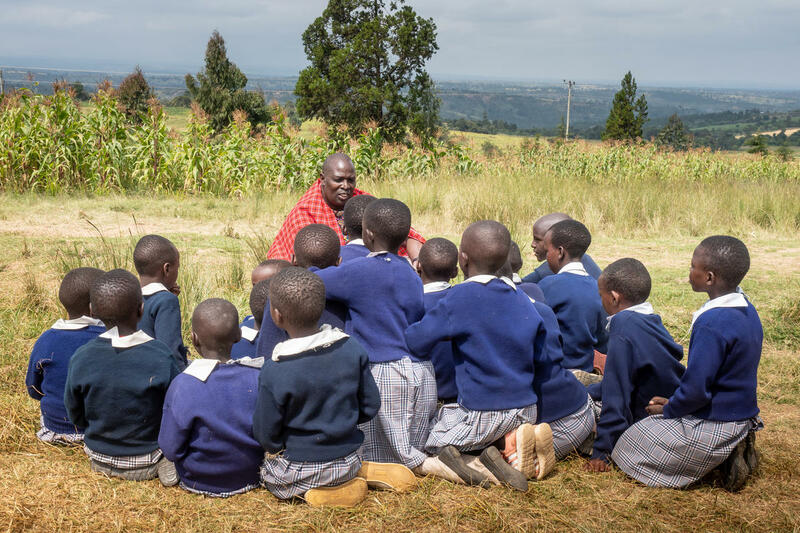 The ministry has four primary objectives: Offering therapy by using work to cultivate mental wellness and build confidence in the participants; job training; providing work opportunities to those who are sufficiently skilled and independent to commercial farm partners; nurturing a love for nature and people. Beneficiaries are given $5 an hour for their efforts. The still, small voice of God planted the seed for this 3.4-hectare project. In 2012, the leaders at the 330-member Salem Chapel were thinking about setting up a transitional home that supports convicts leaving prison. Several Salem Chapel members were then involved in ministering to prisoners and there were ex-offenders in their congregation. The church also runs an elderly daycare and rehabilitation centre under its Salem Welfare Services arm. 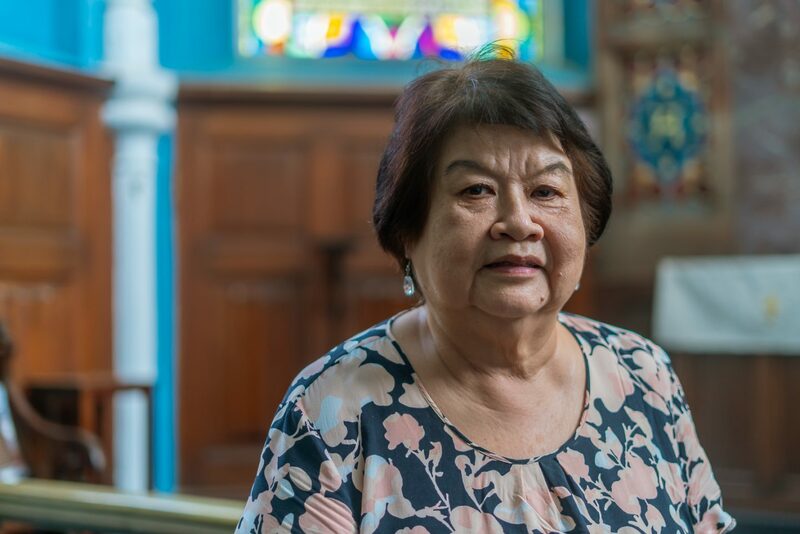 “Our church has always been focused on living out Matthew 25:40,” said the church’s lead pastor Neo Ban Hui, 59. Onesimus Garden also provides shelter for migrant workers and ex-convicts at the farm. Photo by Rachel Phua. A church member had told Pastor Neo there was a plot of vacant farm land the church could consider. The pastor went up to take a look. Immediately, he felt God leave a “deep impression” in him that this was the spot. It was a matter of obedience. He roped in his friend Pastor Andrew Choo, the co-founder of youth residential home AG Home (formerly known as Andrew and Grace Home), and agriculture commercial partners to set up the farm. Salem Chapel raised funds for the initiative among the congregation and their friends, while some of the partners offered to install some of the infrastructure. Some well-intentioned members raised concerns about whether this was the most financially viable project to undertake, as it cost more than a million dollars to set up. But the church leadership believed this to be a God-given assignment and that He would be faithful to lead them through it. After two years of ground work, Salem Chapel opened the farmed in January 2014. The farm came under Salem Welfare Services in 2016. Farm equipment inside one of the greenhouses. Onesimus Garden welcomes special needs individuals, injured migrant workers, ex-convicts and the elderly. Photo by Rachel Phua. The name “Onesimus Garden” is based on the account of the runaway slave Onesimus in the book of Philemon, whom Paul sends back to his master, but not before imploring Philemon to accept Onesimus as a fellow brother, not a slave (Philemon 1:16). The ministry aims to instil in its beneficiaries – who may be looked down upon in society due to their disabilities or history – a sense of belonging and dignity (Philemon 1:11) by making them feel valued through their work (Genesis 2:15), said Pastor Neo. The ministry aims to instil in its beneficiaries a sense of belonging and dignity (Philemon 1:11). The vegetables are sold to restaurants, grocery shops, or given to Salem Chapel’s pay-what-you-wish cafe initiative ONEEleven. Onesimus Garden donors who give $350 monthly also receive about six kilogrammes of vegetables every month, according to the farm’s manager Tarani Premchand Deepchand. 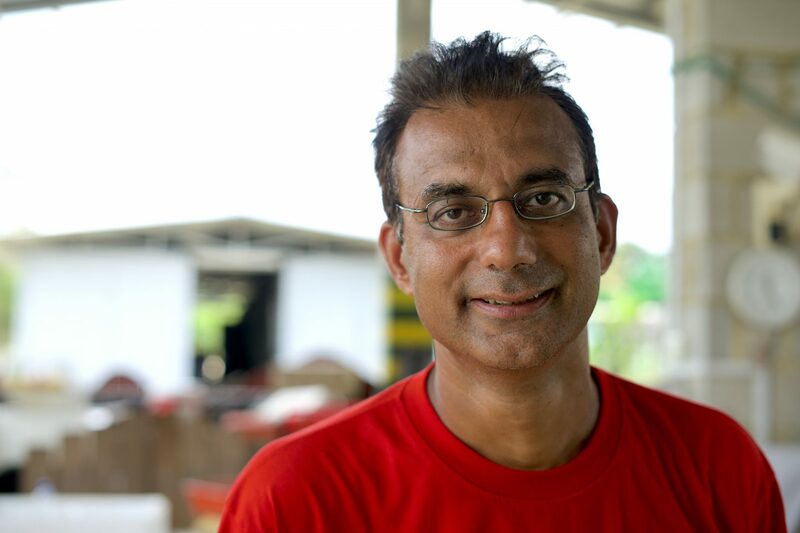 Deepchand joined Onesimus Garden in 2015, first as a volunteer, and subsequently as a staff when he felt that the vision of the farm aligned with his beliefs. The former Information Technology (IT) employee and mathematics tuition teacher said that he has always been interested in the social services sector, and previously volunteered at migrant worker organisation HealthServe. Farm manager Tarani Premchand Deepchand joined Onesimus Garden in 2015. Photo by Rachel Phua. Coming on board meant his pay would shrink considerably. Some months, when crop yield is low, Deepchand gets nothing at all. But the 48-year-old is unfazed. He sees his new position as a way to see God’s faithfulness and provision (Philippians 4:19). He also gets by with love gifts. For example, last December, a former student suddenly reconnected with him and offered some money. 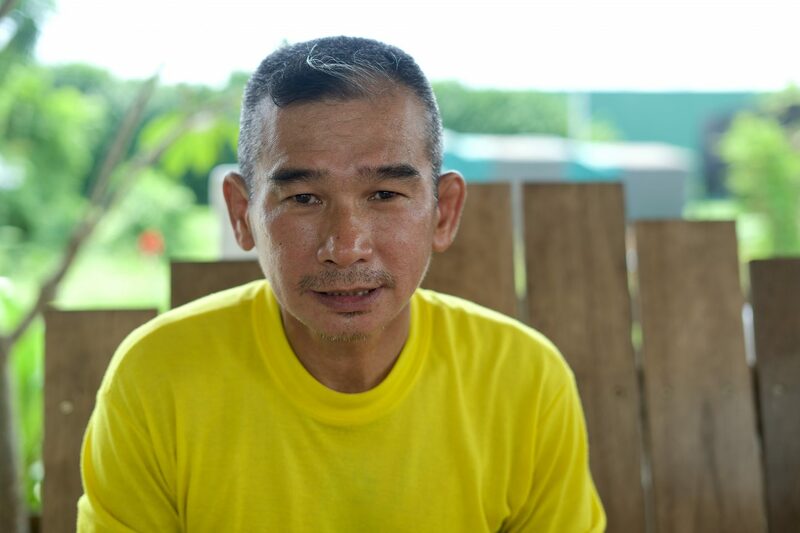 One of the farm’s beneficiaries is Charlie Toh, who has been working at Onesimus Garden since the beginning. A member of Salem Chapel, Toh joined the farm after Pastor Neo found out he was looking for a new job and felt Toh could mentor the ex-convicts who came on the farm. “I find a lot of satisfaction in this job. I get to spend time and encourage my fellow brothers and sisters,” Toh said in Mandarin. Toh, a former drug trafficker who has been out of prison for 11 years, converted to Christianity after attending Sunday chapel services while incarcerated. “It’s very hard to make friends in prison, because you hardly have a chance to interact,” said the 55-year-old father of two. “So to socialise I decided to sign up for Sunday services. 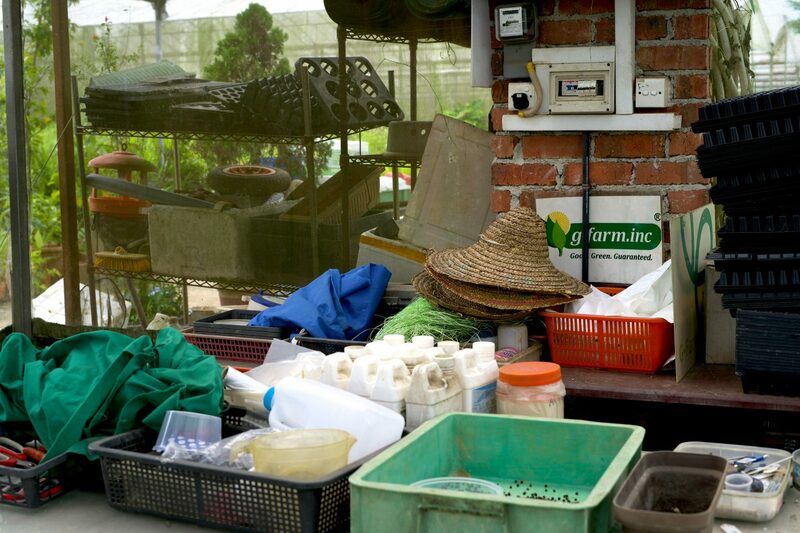 Charlie Toh is a former drug trafficker who has worked on the farm since its inception. Photo by Rachel Phua. Becoming a Christian turned his world around. A life peddling drugs was pretty meaningless, Toh said. What he did was just an attempt at personal gratification. Going in and out of prison broke his family up as well – his wife got a divorce, his children drifted apart from him. By listening to sermons, going for services and showing up for bible study, Toh found the reasons and solutions to his emptiness (Isaiah 43:7). His temperament improved, and he looked forward to serving other people. After Toh came to Christ, his son miraculously chose to reconnect with his dad – “it was God’s gift” (Jeremiah 9:24), Toh said. Toh’s son was the one who greeted him on the day of his release, after which father and son started attending church together. His son eventually became a believer. Toh working with one of the farm’s partners to cultivate the land. Photo by Rachel Phua. Toh’s daughter took a longer time to warm up to her father. When they went out for meals after he left prison, she would ignore him, but Toh pressed on. It took a few years and a pep talk from her brother to open up, Toh said. Now, his daughter is so close to him she would turn to him whenever she faces problems at school or falls sick. “I’ve really been given a second chance,” he said with gratitude. Onesimus Garden is located at 40 Neo Tiew Road, Singapore 719027. Are we being formed by Christ or Capitalism? Who looks out for the “invisible” during Chinese New Year?